Across the Dallas/Fort Worth area, one consumer law firm stands out for its breadth of services and its knowledge of the legal problems Texans face: Bailey & Galyen. Our practice addresses every issue individuals face: family and divorce issues, injuries in motor vehicles, criminal accusations, bankruptcy, tax issues, estate planning, Social Security claims, immigration issues, IRS and tax disputes, and the full range of business, corporate, and employer law. We say that we offer big firm results, but with the feel and accessibility of a small firm. We also say we are a "100 percent law firm," meaning we always give the fullest effort to providing you with top-quality representation. This effort is borne out in our results. It is not uncommon for us to win awards for injured clients in seven figures. A pharmaceutical class action suit that we led resulted in payments to clients of $108 million. 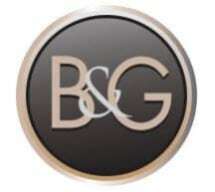 Bailey & Galyen has been featured as the "Eminent Law Firm of the Year" at GetLegal.com. Many of our attorneys are board certified by the Texas Board of Legal Specialization in personal injury, family law and criminal law. We strive to be considerate of expenses and other issues. We offer a free initial consultation, credit card payments, home and hospital visits, and 24-hour telephone availability. Se habla español. If expertise, experience and a track record of success matter to you in choosing an attorney, look no further than the team at Bailey & Galyen.